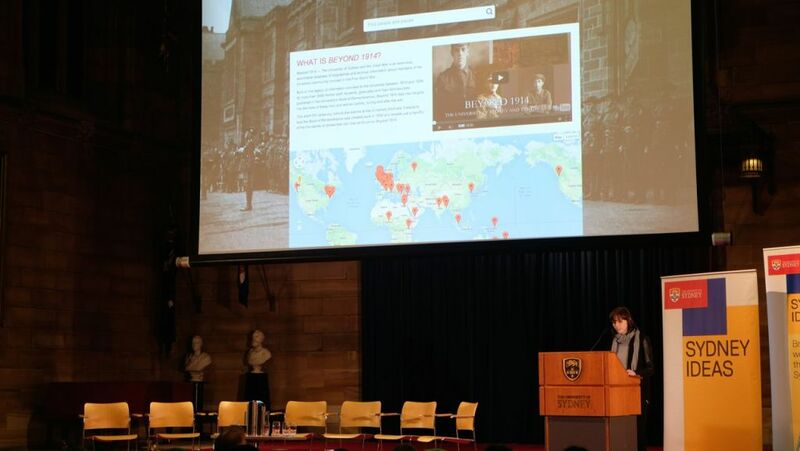 On 10th Sept 2014, Her Excellency Professor The Honourable Dame Marie Bashir AD CVO Governor of New South Wales launched Sydney University’s new online website: Beyond 1914 – The University of Sydney and the Great War. 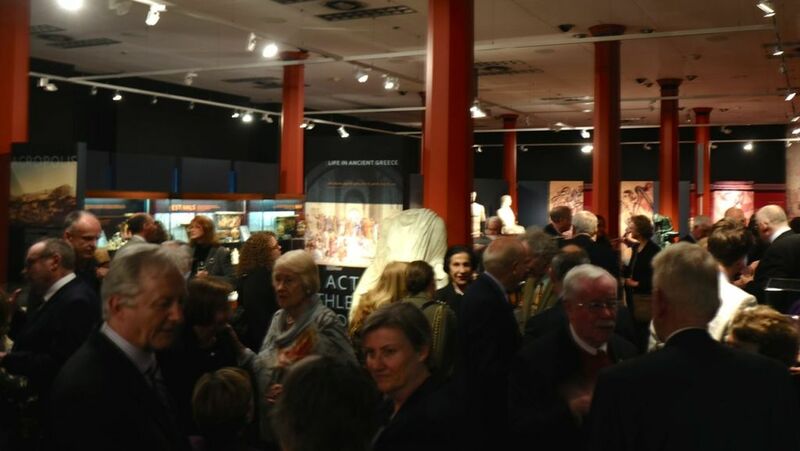 The launch of the site, built from biographical data managed in a Heurist database, was an official event of History Week 2014 and was attended by over 300 people. 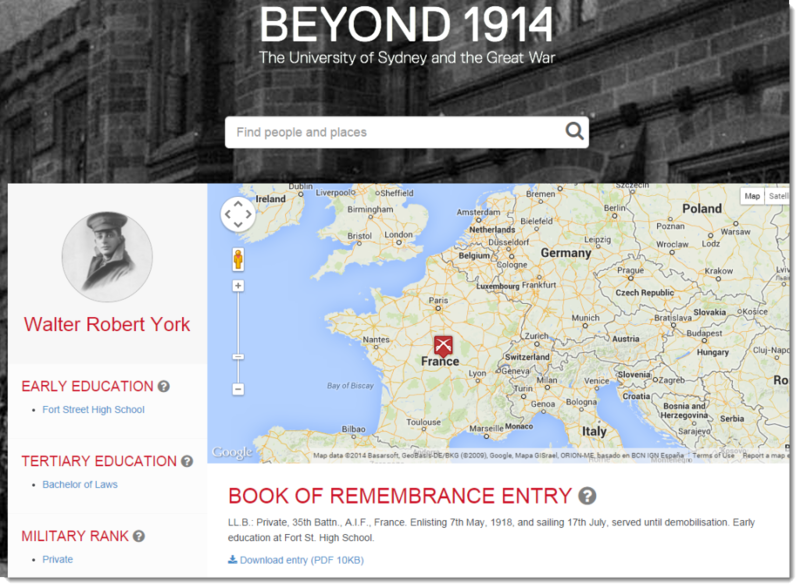 The Beyond 1914 online database provides an interactive biographical database of students, staff and alumni who served in the First World War, based on the extensive archives and personal papers of the University of Sydney and its Colleges. A large part of this information was provided to the University between 1915 and 1938 by more than 2000 former staff, students, graduates and their families (later published in the University’s Book of Remembrance). 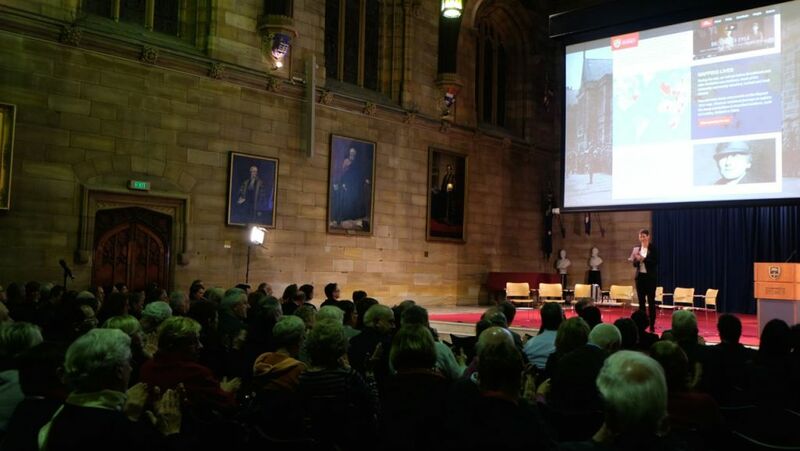 The launch took place in the Gothic splendour of the University’s Great Hall. 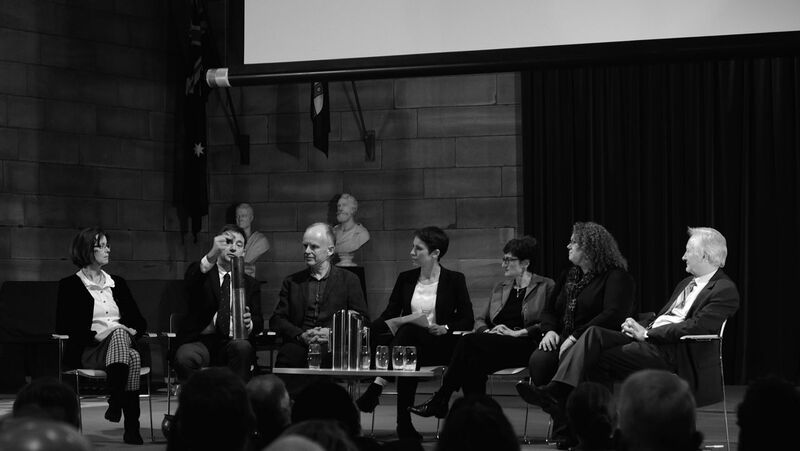 Leading Australian historians took part in a lively Panel Discussion: War, Death and Memory, on remembering the Great War. This was followed by a demonstration of the database and information about how members of the community can expand and develop it. The database underpinning Beyond 1914 is a Heurist database which provides the back-end infrastructure for data management and biographical research. The Heurist team populated the Heurist database with more than 10,000 life events extracted from the text of Book of Remembrance. These events were linked to the individuals concerned, educational institutions and geographical locations to allow the creation of personal lifelines and broader timelines and maps. About 27,000 scanned photographs and documents, held in the University Archives, were also loaded and linked to individuals. The Beyond 1914 website, developed by David Jessup, Gregory Poole and Nick Evans from the University’s Marketing department, provides the public interface to the information in the Heurist database (for the technical, a Heurist XML feed is converted via Doctrine to a NoSQL database which drives the website). The Heurist database will form an ongoing resource for the collection of further information, with plans to eventually allow direct public input, with editorial control, and public access to the wider range of analytical possibilities available through Heurist. Professor of History from the University of Melbourne Joy Damousi, is author of Living with the Aftermath: trauma, nostalgia and grief in post-war Australia. 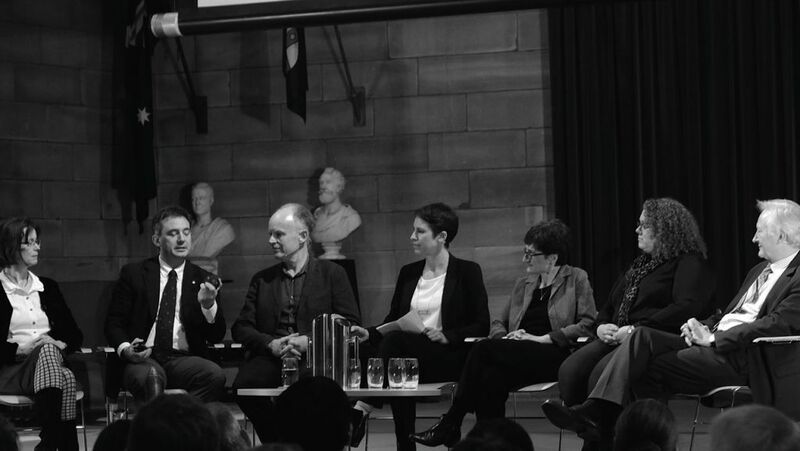 Professor Stephen Garton is Provost and Deputy Chancellor at the University of Sydney. He is the author of Cost of War which looks at war and repatriation. Associate Professor Julia Horne is the University Historian. 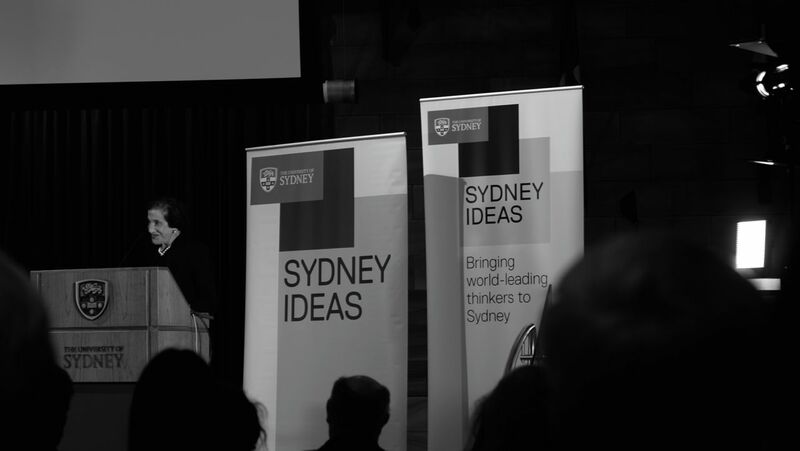 She is the co-organiser of Beyond 1914 – The University of Sydney and the Great War, author of Sydney the Making of a Public University. Brad Manera is an expert on war and memorials. 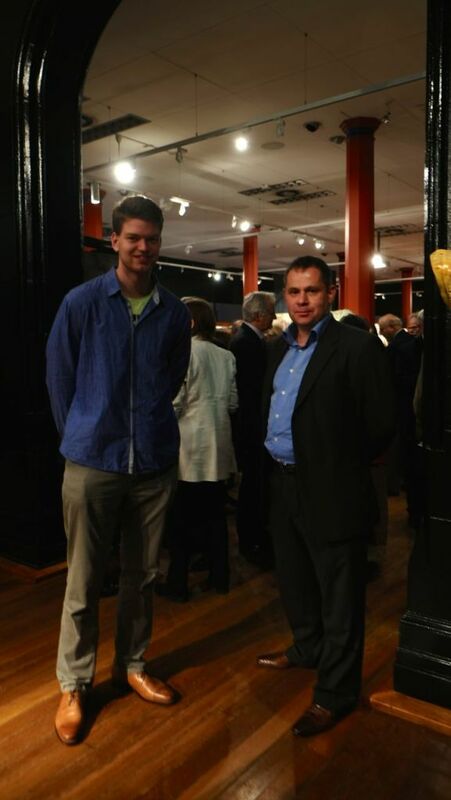 He is Executive Manager of the ANZAC Memorial, Hyde Park, a battlefield archaeologist and public historian. Associate Professor Mark McKenna is an ARC Future Fellow in the Department of History at the University of Sydney, author of Eye for Eternity and has published on the Anzac Myth. 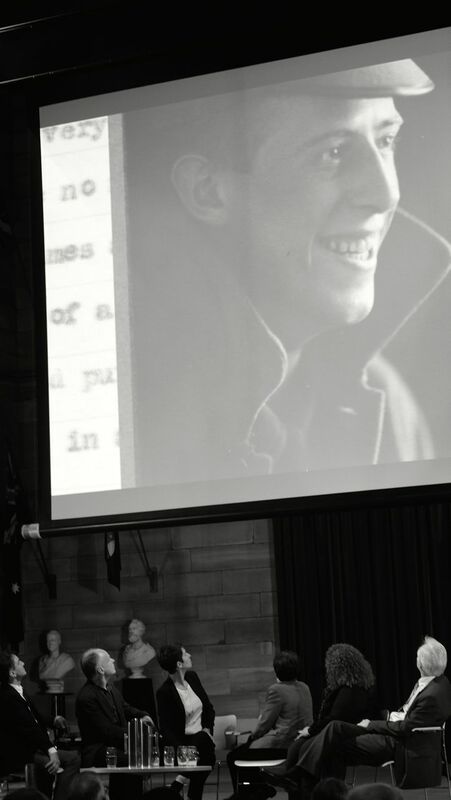 Kerry Neale is Curator at the Australian War Memorial. Her research looks at facial wounds and disfigurement. Dr Tamson Pietsch is the discussion facilitator. She is the author of Empires of Scholars and is an ARC DECRA Fellow in the School of Philosophical and Historical Inquiry at the University of Sydney.